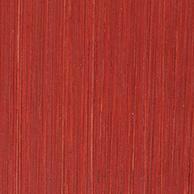 A rich, potent colour favored by the Old Master’s, my Genuine Chinese Vermilion is made from the real Mercuric Sulphide. This is not a “hue” as you will find in other manufacturer’s ranges. The body and texture of my Genuine Chinese Vermilion is unparalled in the industry. A paint coveted not only by the Old Master’s but by Modern Master’s as well. Made by native natural cinnabar which has been purified to a degree where it has robust resistance to general gallery conditions and is only subject to change when exposed to direct sunlight or the presence of chlorine compounds as with the case of historical true vermilions perhaps being caused by the accumulated dirt caused by human skin in the form of gallery dust, sweat of course containing sodium chlorides or slats from human sweat! This is a red of peculiar quality it’s relation to many colours unparalled particularly in portraiture that cannot be replaced by cadmiums.